When it comes to Western-themed games, Dead or Alive slot is the perfect choice for fanatics of the Wild West. Granted, superheroes seem to be at the forefront of drawing in box office success but that is not to say that the Wild West has fallen completely out of favour with viewers. In fact, many people still enjoy classic Western films and some enjoy playing Western-themed games such as the Dead or Alive online slot. Produced by Netent, the Dead or Alive slot machine is a must try for lovers of Gold and Western movies and television. It is a video slots game with 9 pay lines and 5 reels. This game is truly an accurate representation of the culture of the Wild West and includes all of the features and gameplay that is sure to leave players feeling like they are right in the middle of the desert with their cowboy hats, jeans and boots on. To start things off, Dead or Alive video slots are designed with several key features like the wild symbol, the scatters and free spins. Spin the reel to reveal the wild symbol which is designed as an outlaw criminal. This symbol can replace all other symbols throughout the game with the exception of the scatter symbol. Scatter symbols are designed as 2 guns, crossed together and when you get multiple scatters, you are rewarded with free spins. 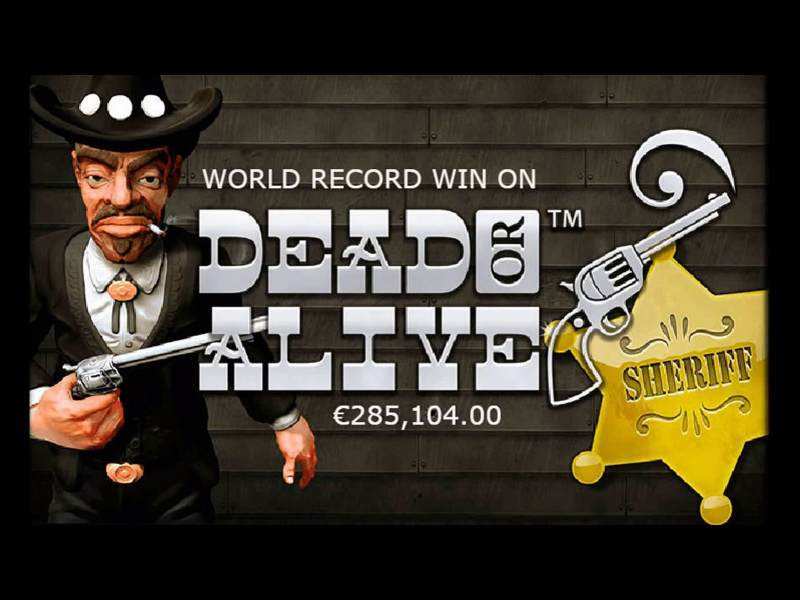 Dead or Alive free play rounds offer 12 spins in addition to doubled prize payouts. When you are playing the free spin round, the scatter symbols transform into sticky symbols which can later be converted to more free spins. For players looking for more than free slot Dead or Alive gameplay, a minimum bet of 1 cent can be placed. If you really feel lucky, you can raise that amount to a maximum of 50 cents and stand a chance of earning 112,500 coins worth of jackpot winnings. From leather accented cowboy boots to the classic gold star, this online gambling option gives players the ultimate Western experience. There is not much to add to this Dead or Alive slot review because the game is fully featured and sure to be an entertaining play for gamblers with a thing for the Wild West. If you want to play the game for free, you can play it without registering or downloading. Overall, NetEnt has done a good job of including classic elements of the Wild West into Dead or Alive slot online without making it too stereotypical or overwhelming for players not familiar with the theme and despite the jackpot not being as big as other slots machines, it is still pretty decent for an online casino game. 0 responses to "Dead or Alive Slot"